Big blue eyes times two! 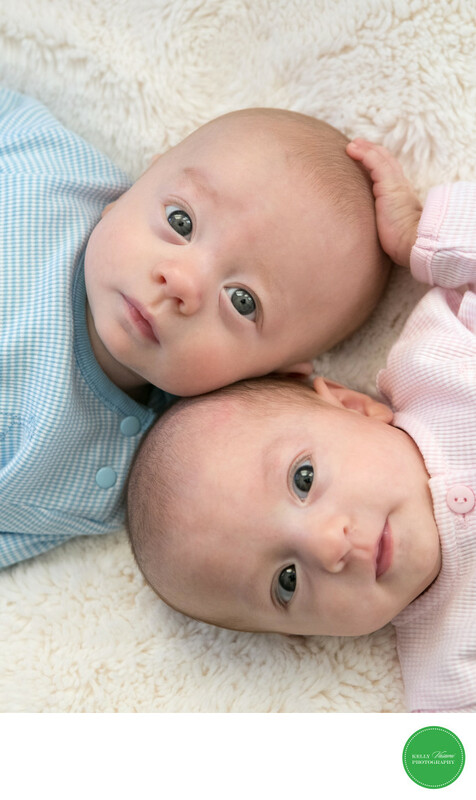 These sweet twins are completely in sync and looking directly at the camera, each adorn in their gender specific pink and blue. Sister's little hand gently touching her brother's head is perhaps the sweetest aspect of this image, reminding us this duo has a unique, inseparable bond they will carry forever. A soft, ivory blanket adds some subtle texture and creates a lovely background.